We often ponder the MIRACLE of Christ’s Rising from the dead, and hearten at the thought that the Lord has blessed us, sinners, with the GREAT HOPE that we, too, can rise with him and vanquish the inevitable death. 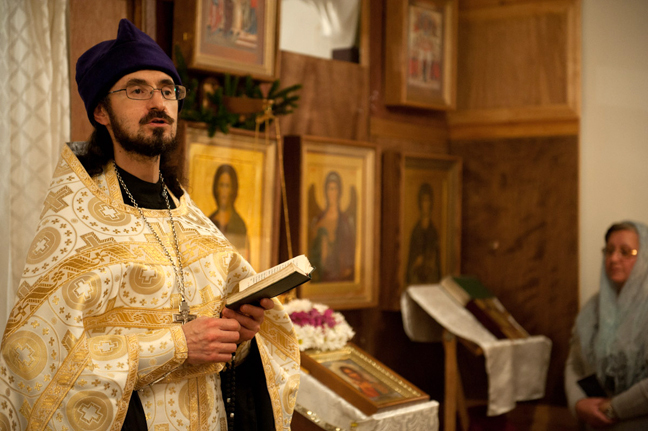 The Holy Orthodox Church tries its best to soften our hearts and find the doors to the soul through which the RISEN CHRIST HIMSELF can awaken us from the daily stupor and lead us up the narrow path of salvation. What gift, dear ones, can we offer back to Christ, who has RISEN FOR OUR SAKE? “The Inexhaustible Cup” on Brighton, where a small group of immigrants is trying to do the impossible: erect the Noah’s Arch - a Christian Church at the heart of the raging Babilon soaked in the deluge of passions. Rise with us and join our little family! More then ever, we urgently need your help! We MUST begin the construction or move to another facility immediately: the authorities are pursuing us, requiring that we stop the services at the present, rather shabby, location. HELP THE CHURCH OF JESUS CHRIST! And, we wholly believe, the Lord Himself will say to you: Well done, good and faithful servant; thou hast been faithful over a few things, I will make thee ruler over many things: enter thou into the joy of thy Lord!